Cynthia brings with her a wealth of property management skills. She is proud of her total honesty and excellent communication skills including her enthusiasm to find solutions for all parties concerned. As a homeowner and a landlord herself, she has always had a keen interest in property. Each managed property is treated as if it was her own. Her expertise extends to the interior design and property maintenance after completing a number of projects of her own. Her use of innovative ideas to keep property on current trend, ultimately adds value to her customer. 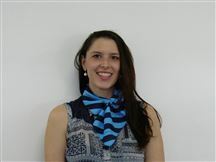 Fluent in both English and Mandarin, Cynthia’s bi-lingual abilities make her to a great asset to both landlords and tenants. When dealing with Cynthia you can stay assured that she will always do her very best for you whether you are a landlord or a tenant. Please call Cynthia to discuss the management of your property. Albert Einstein once famously said "The only source of knowledge is experience" and with over 40 years experience in the real estate industry (and most of those in business ownership) you can be assured that Graeme has a wealth of knowledge in property matters available to help you. Graeme is a great believer of the Harcourts values: - People first - Doing the right thing - Being courageous - Fun and laughter These values together with integrity and professionalism are, to Graeme's mind, the most important ingredients for running a successful, award winning property management business. Graeme hand picks the staff who work for him and only chooses those people, who exemplify the Harcourts values day in, day out. He is extremely proud to recommend each and every one of them to you to assist you with your property management requirements. Meet Jenny Sommers for the first time, and you instantly feel like you’ve known her forever. A North Shore resident for the past 18 years, Jenny is more than just a ‘people person’ with an impressive real estate record…she’s a friend that stays in touch with her clients well after the property transaction is over and done with. Jenny started in real estate 19 years ago after a sales career and still loves the challenge of gauging what new clients want from their property expert. Her success comes from old-fashioned values – punctuality, respect, patience, commitment, honesty, maturity and open communication with those she deals with. “I pride myself on treating my clients as they'd like to be treated,” Jenny says. “I follow things through and I do what I say I’m going to do. Those traditional values are important to me, and also to those who choose me to represent them." That’s why Jenny has a high percentage of repeat business. Previous clients know and expect her to spend the extra time needed to guide them through the process, and it’s a reputation that keeps the high-achieving but modest agent busy even during economic downturns. “I love providing the whole package, so part of my job is to quickly determine exactly what clients want from me. I will then tailor-make a strategy for them, based on experience and knowledge.” What Jenny is striving for in any transaction are happy and satisfied clients who get exactly what they want. More often than not, her clients remain friends and keep in touch – something she is immensely proud of. Ruth's letting and management portfolio speaks for itself. Ruth has a wealth of knowledge and experience to share with you, as she has been in the business for over 16 years. Ruth's friendly, reliable and hardworking nature ensures a quality and consistent service is provided to all her clients. She prides herself on her excellent communication and time management skills and is very focused on delivering an excellent level of service that surpasses client's expectations time and time again. Ruth has a very valuable support team behind her in the Browns Bay office and together they make a great team. Ruth's first-hand knowledge of Auckland is priceless and she is very well informed of any changes within the industry that may occur. It's important her clients are delighted with their experience of having Ruth manage and/or let their properties, ideally so happy, that they refer Ruth to family and friends. Tracey prides herself on building relationships, some of her clients have been with her for over 20 years. She has built long term relationships with the trades people who work with her and when you see someone who has worked side by side with the same electrician for 19 years, the same plumber for 13 years and the same handyman for 12 years you just know that your property is going to be well looked after. Tracey is very proud to cover not only the whole of the North Shore but also further afield with properties managed at Whangaparaoa, West Harbour and the Eastern Suburbs. There is no better proof to her abilities than the fact that the majority of her business is either referral or repeat business. If you want to forge a lasting relationship with a proven property manager then you need to look no further than Tracey Wheeler. Viv Brill - The best person to manage your investment properties. Vivien Brill has joined the Harcourts team in Browns Bay, Auckland in February 2019 as a Property Manager. 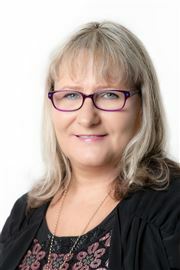 With eighteen years experience in the Real Estate Industry as a Property Manager, Viv Brill (as she likes to be known as) is dedicated to the Industry and as a very successful Property Manager she has managed some very large property management portfolios as well as owning her own rental portfolio. 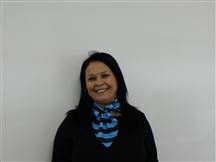 Viv is known for her personable communication skills and believes in excellent service and communication. Commitment is paramount to every successful business. Viv stands behind her beliefs in providing the best possible and highest level of dedication, passion enthusiasm and professionalism to her customers. Viv received an award in February 2018 for “Executive Property Manager” status! Viv also has a great history of matching up great tenants with good landlords weather it be for managed properties or casual letting. Viv has a very high success rate in the Tenancy Tribunal and is your first point of contact for all your Property Management needs. With her abilities and attributes she will deliver and provide the service to ensure that all runs smoothly and peace of mind for the owner/s is guaranteed. Viv also holds her Real Estate Salespersons Licence. If you are wanting an enthusiastic and experienced Property Manager then give Viv a call to come and do a free rental appraisal and talk to you about our management services. Sunny Cotttage near the beach.